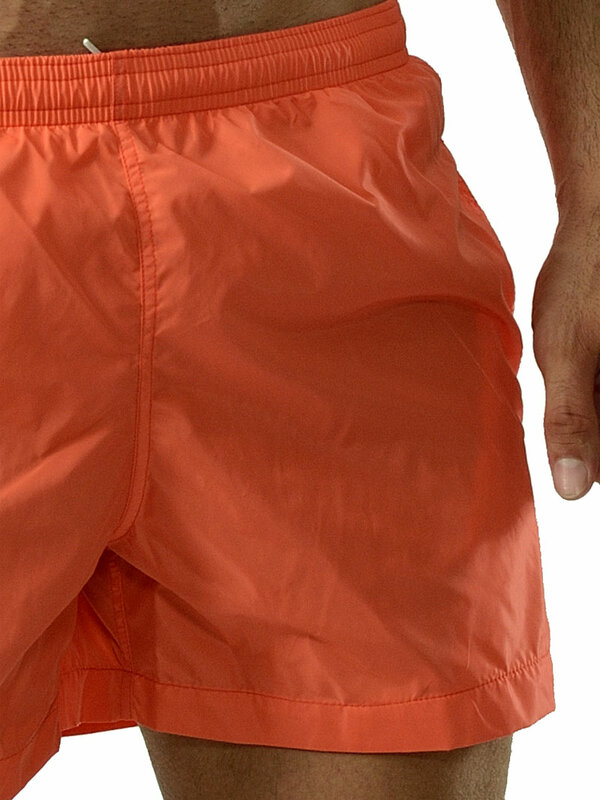 Step into the water in style in Geronimo 1605p1 Orange swim short. With plenty of comfortable leg room, you'll feel as good as you look! Formed in a trendy truncated cut and made of an extremely soft, quick drying, lightweight fabric, these trunks are the definition of cool. The swimsuit feature a mesh support brief, two side pockets and a back pocket. Available in a variety of cool colors, they're far too stylish to wear only while underwater.